You all know how much I love a bold print – especially one that is equally as bold in color. That’s why I’m so excited to introduce you all to Luella & June’s newest sponsor, Tipsy Skipper. The Rhode Island-based company is designed by the talented Kearsley Lloyd – a girl who knows a thing or two about a great print. 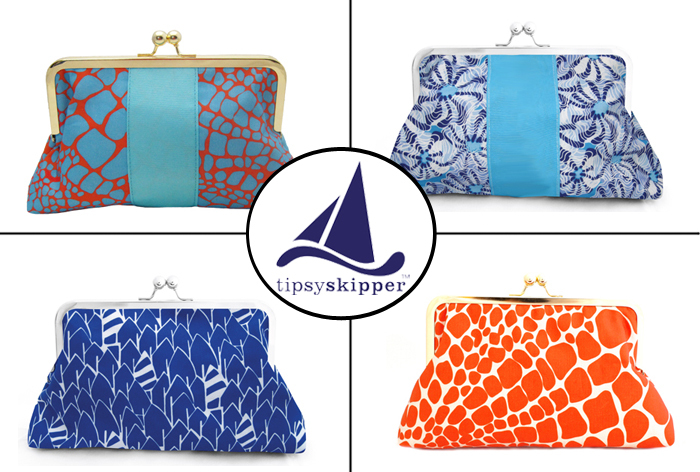 Inspired by summers spent at sea, Tipsy Skipper offers everything from clutches (my favorite is the orange croc version) to ballet flats to beach-ready totes. You’ll find everything you need to get you through this summer in style! Wow, I love the vibrant brightness of these designs. Must check out the rest. These are beautiful clutches, what a great sponsor!